When Elizabeth Kostova was twelve, she spent a year living and travelling in Eastern Europe which she later remarked was “a formative experience.” She became enthralled by the “Dracula stories” that her father, who taught that year at a college in Slovenia, provided for her. 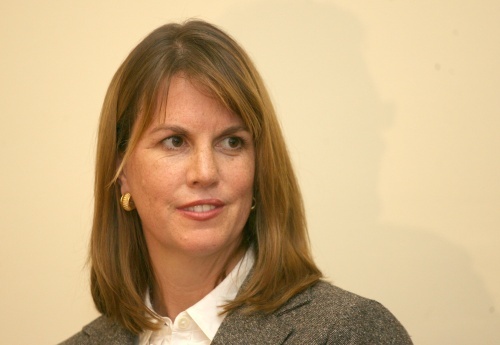 Years later in 2006, she published her debut international bestseller novel, The Historian, which likely received its initial genesis from those childhood memories. The Historian is a large baggy novel that extends over three generations – the 1970s, the 1950s and the 1930s – that involves the search for the fifteenth-century Wallachian tyrant, Vlad Tepes. The eponymous historian decamps to find her father who disappears after discovering a strange book in his library, as did his mentor almost twenty years earlier. They had set out to discover the tomb of Vlad/Dracula believing he is still alive and responsible, as he later acknowledges, for orchestrating the horrors of the twentieth century. 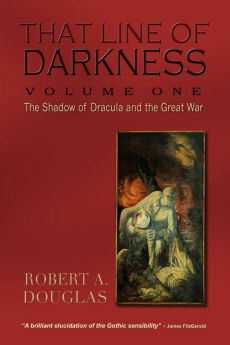 The Historian is based on the erroneous historical assumption that Vlad the Impaler is the inspiration for Bram Stoker’s Dracula. But this is of course a novel and an enjoyable romp to read. 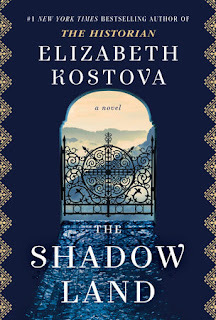 One of its pleasures is Kostova’s knowledge of the geographical areas that her characters travel, especially Bulgaria, the setting for the last third of the novel. Having embarked on several trips to this country, Kostova now lives there with her Bulgarian husband. 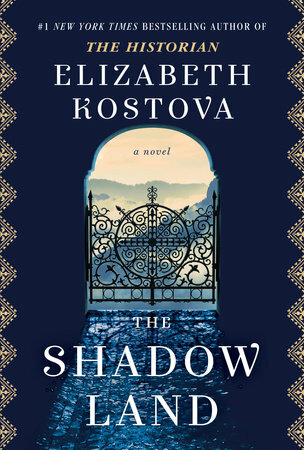 Her latest novel, The Shadow Land (Ballantine Books) has a tighter focus with only two timelines that gradually intersect, well-developed characters and a gripping account of a vital historical issue – the destructive power of Communism in Bulgaria – one that many contemporary Bulgarians minimize or about which have no awareness. Because of these attributes, The Shadow Land is a more accomplished and a more moving novel than her Gothic thriller. The novel opens in 2008 Bulgaria, where Alexandra Boyd, a young American who has arrived in Sofia, the country’s capital to teach English, is dropped off at her hotel. Three people, an older woman, a man in a wheelchair and a younger man, are coming down the steps to get into a taxi. She offers to hold their bags as they settle in and as the taxi drives off, she realizes that one of the bags left is in her hand. She opens it to find a burial urn and immediately jumps into a taxi to return the ashes of one Stoyan Lazarov to its rightful owners. The driver, Bobby, becomes her guide and translator as they set out on an odyssey careening through a picturesque countryside, but ominous undertones from its dark past threatens to spill over into the present. Kostova is very adept at creating suspense with unsettling moments: both Alexandra and Bobby are locked inside a monastery and later the window on his taxi is damaged. They are relatively minor incidents that occur near the outset in their search for the owners of this urn. Before long the threat of violence escalates leading them to wonder: Who is putting roadblocks in their way and why? Suspense is a Kostova trademark that is generated in both The Historian and The Shadow Land. (She has also written The Swan Thieves which I have not read.) But what is new in her latest novel is her focus on character development. As the novel progresses, we learn more about both Alexandra and Bobby. She is still grieving the death of her brother who died under mysterious circumstances years ago on a hiking tour in the mountains of North Carolina when he was fifteen. Because he had expressed a desire to visit Bulgaria is one of the reasons she came to this country. The back story has value because it gives the reader insight into her current emotional state but Kostova spends too many pages on it; the real story that engages the reader is set in Bulgaria. We discover that Bobby was once a police officer who resigned because of the police response to demonstrations and how they questioned individuals in their custody. He is now a part time activist and poet. These revelations and the gradual accretion of detail that Kostova builds about them facilitate a warm camaraderie between them. They are supportive of each other as they relate to other characters, including a stray dog which they adopt, and as they navigate both friendly and fraught situations that unfold in the latter part of the novel. But it is the portrayal of the virtuosic violinist, Stoyan Lazarov, and through him the picture of communist Bulgaria, at the heart of the novel that leaves the most indelible impression on the reader. Kostova employs two devices to access his life, and although they are not original, they work effectively: the reminiscences of relatives and friends of the deceased man, and the revelations in a secret journal that Stoyan wrote about his experience in a concentration camp, the Bulgarian version of the Soviet Gulag that constitute the most harrowing passages in the novel. Stoyan’s story begins in Vienna with him on the verge of becoming one of Europe’s international stars. Soon after, we see him trapped in Bulgaria during World War II as the country fought against and for the Allies, often hiding in the cellar of his fiancé’s parents to escape Allied bombing. After the war, the Communists become firmly entrenched; suspicion, the denunciation of others, and mean-spiritedness encapsulates the fabric of everyday life. Kostova juggles without losing her focus the increasing intensity of both the narrative about Alexandra and Bobby in 2008, and the grim tale of a decent man who descends into the soul-crushing experience of the camp inferno in the late 1940s and early 1950s. His only crime was that he witnessed something the authorities could not tolerate and therefore he is a threat that must be purged from society. Seized from his loving wife, he is brutally interrogated in a manner that will impair his ability to play the violin and is subsequently dispatched with others to a camp where his journal will later document the starvation and cruel destruction of men who labour at a quarry. They can be beaten or shot at random and they know it. Stoyan survives by retreating to the shadows of his own mind. He replays the music of Bach and Vivaldi he loves again and again and imagines himself raising a son. His creative fantasy life and his determination to write about the camp experience if he survives in part enable him to endure illness and horrific abuse. His mechanisms for surviving recall Victor Frankl’s, Man’s Search for Meaning, his memoir of his ordeal in Nazi concentration camps. At one point, he quotes Nietzsche: “He who has a why to live can bear almost any how.” Yet Frankl’s belief needs to be augmented with good luck if anyone is to survive the hell of a Nazi or Communist camp. Stoyan is fortunate that one particularly nasty guard takes a shine to him because he is a violinist. He does survive, just barely, but he never completely recovers his health nor can he escape the well-founded fear that he could at any time be returned to a camp. 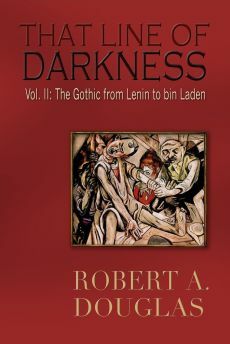 Kostova’s rendering of his diary about the events in the camp are inspired by Tzvetan Todorov’s Voices of the Gulag, and Todorov’s account is acknowledged by Kostova. As Kostova races towards her riveting conclusion, the violent legacy of the secret brutal labor camp looms in the present for Alexandra and Bobby. Some readers may criticize Kostova for telegraphing too soon the specific link between what happened in the camp and the threats to Alexandra, Bobby and the people they are trying to protect. More important to me is what Kostova implies but does not develop: the prevalence of corruption among politicians and the police in contemporary Bulgaria. For instance, she suggests that traces of the unsavoury interrogation legacy during the Communist era carries into the present. We are set up to believe that she will follow through with developing these institutional threads. Instead, she abandons them and locates in an arch villain the source of so much of the evil lurking in the present. Had she not dropped this promising premise, the novel would have been richer and more complex. Nonetheless, Kostova’s vivid heart-rending portrayal of the plight of Stoyan Lazarov will remain etched in the minds of readers.